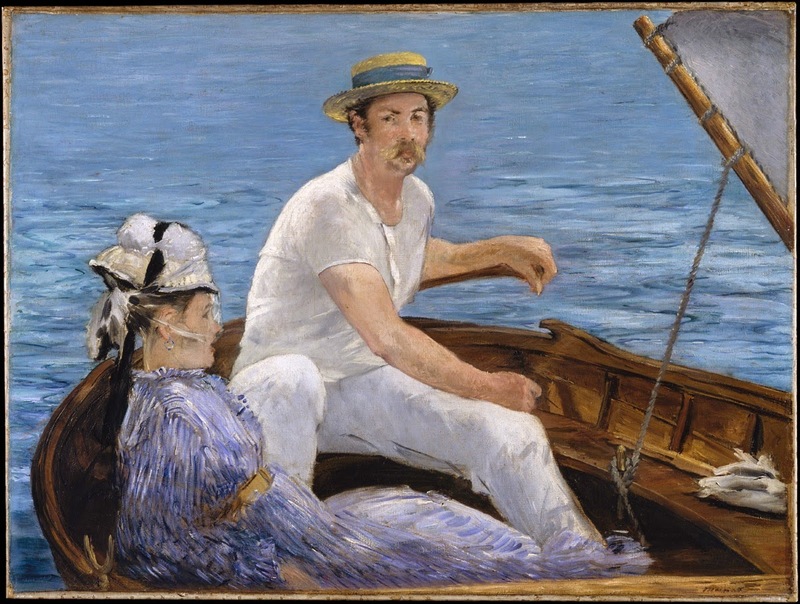 Infinite Art Tournament: The Infinite Art Tournament Left Bracket Third-Round Elimination: Marc v. Manet! The Infinite Art Tournament Left Bracket Third-Round Elimination: Marc v. Manet! 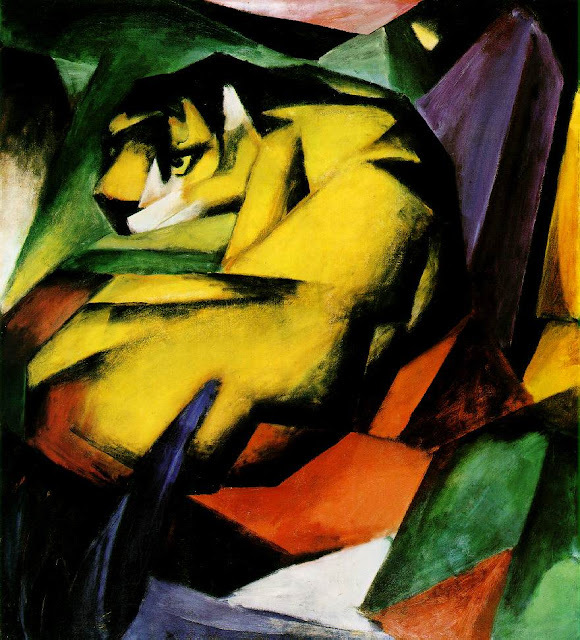 It's a battle of big-name artists today, as Franz Marc and Édouard Manet meet in Third Round Elimination. Marc arrives after a fairly brisk dispatching of Man Ray, who exits with 3 wins, 2 losses, and an overall vote total of 29-32. 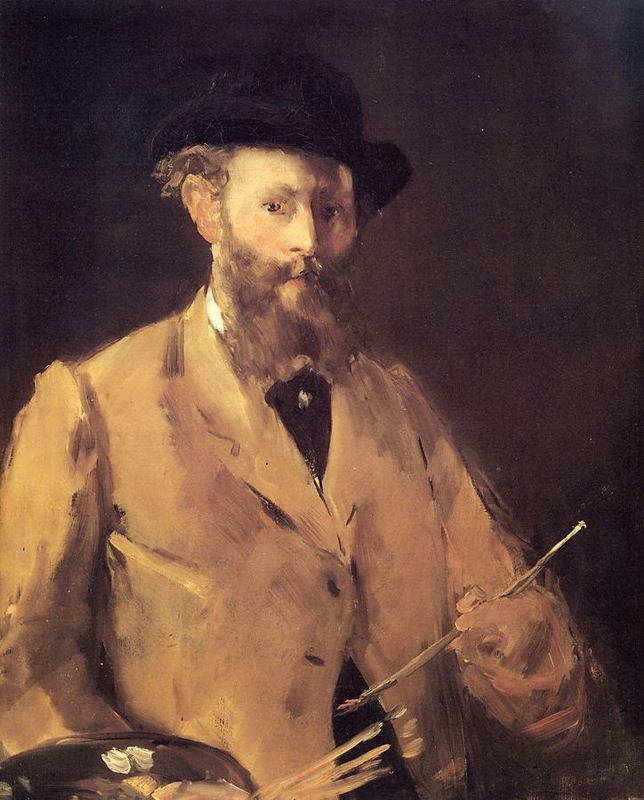 Manet took out Theo Van Doesburg, whose strange run through the Tournament left him with an admirable 3-2-1 record, but a vote count (29-43) that makes him the most voted against artist in the entire Tournament to date. Defeated American John Marin easily in Round 1. Tied with Ernst Haeckel in his first try at Round 2. Defeated Simone Martini easily in the Round 2 Tiebreaker. Lost to Ernst Haeckel in a quirky Round 3 rematch. Glided past Man Ray in the Left Bracket Third Round. Thumped on Minimalist Robert Mangold in Round 1. Overcame Andrea Mantegna in Round 2. Lost to living American Tim Ely in Round 3 by a single vote. YOUR VOTE COUNTS!!! 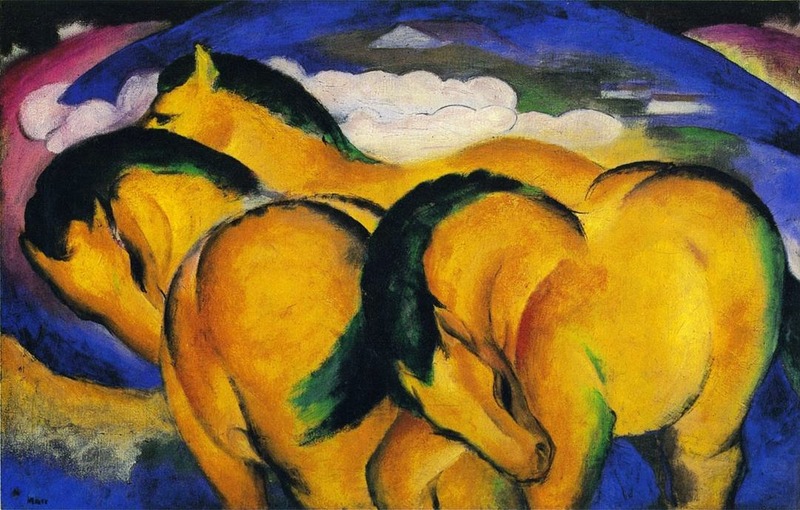 Beat Theo Van Doesburg in the Left Bracket Third Round. I have grown very fond of Marc throughout this tournament, and I still like Manet about the same as the first time I saw him -- which is quite a bit, but not enough this time. Marc gets my vote this round. Manet, but again, extremely close. Marc, and I am really tired of seeing pictures of this strange real or imagined olden days phenomenon of only men wearing clothes at picnics. If it's just something that everyone did, I guess I can't fault Manet for documenting his context, but, well, I'm tired of looking at it. 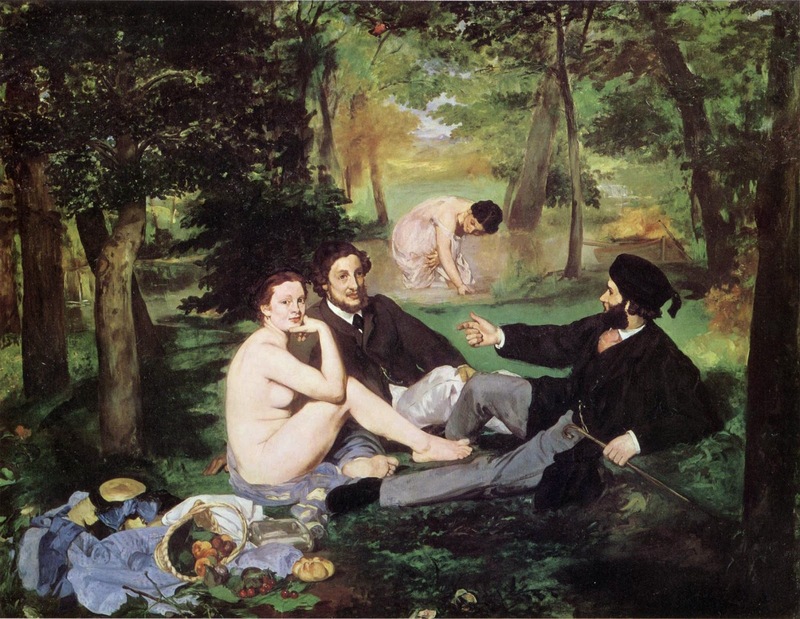 My understanding is that Manet, too, thought the phenomenon of only men wearing clothes at picnics was pretty odd. The point of this painting was that it exposed the classical naked-girls-at-picnics trope as bogus by yoinking it into a contemporary setting. 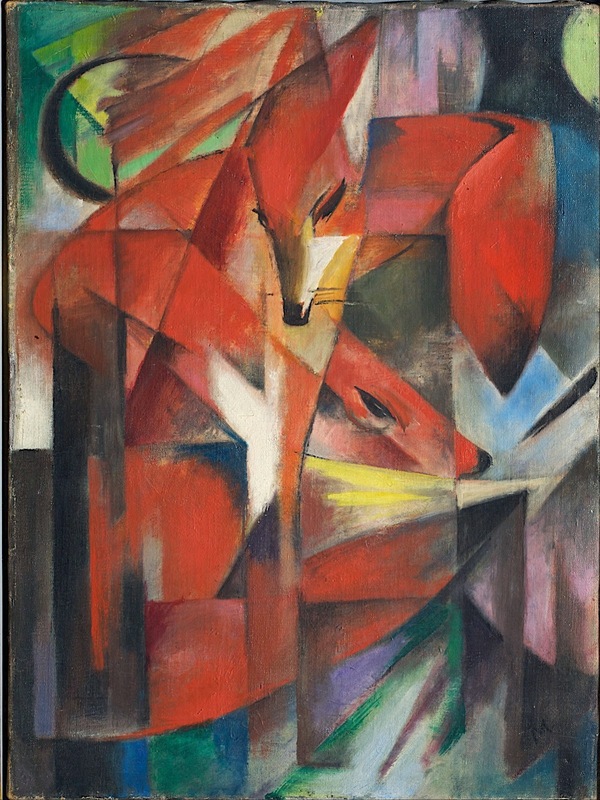 I believe some people claim that this art-as-comment-on-the-artistic-tradition quality of the picture makes it the kickoff painting of "modern art." Except now, since so much time has gone by, it is just another naked-girls-at-picnics picture from the indeterminate past, which takes a lot of the wind out of its sails. Also, ironic naked girls at a picnic are still naked girls at a picnic. 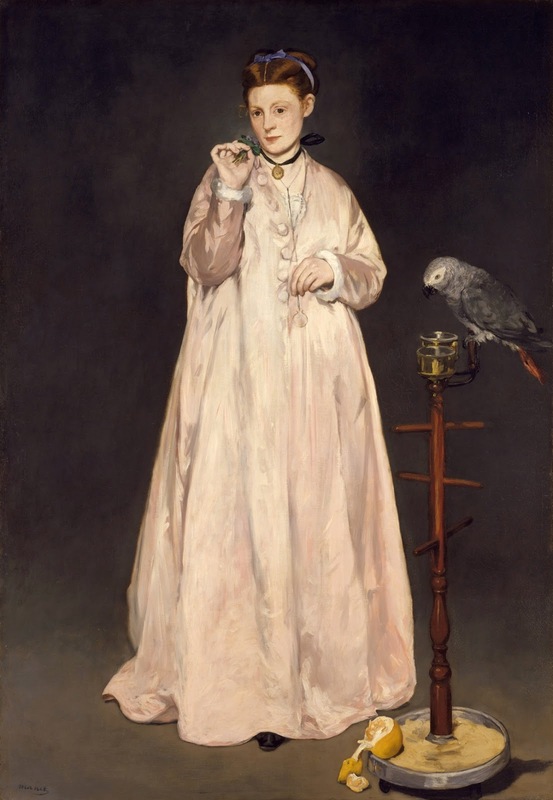 Having said all that, I like Manet a little more than Marc. Like the pretty animals, but I'll go with the wider-ranging Manet. Susan loves Marc, but votes for Manet. It looks like we've got seven votes for Manet, four for Marc. Manet goes up against Metsu this week! Marc heads back to the stables. The Semi-Finals: Bouguereau v. Hiroshige! The Semi-Finals: Homer v. Kahlo! The Semi-Finals: Avercamp v. Basquiat!